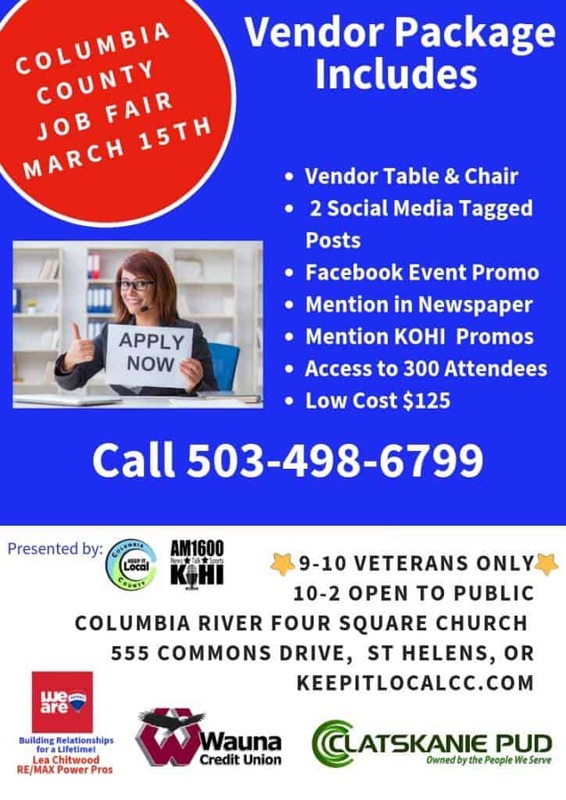 Columbia County, OR – Keep It Local Columbia County along with their partners and event sponsors are hosting their 2nd Columbia County Job Fair on March 15th at Columbia River Four Square Chuch, 555 Commons Drive, St. Helens, OR. Workforce and KOHI 1600 AM have traditionally put on this event. 2019 marks the second year that Keep It Local Columbia County will be presenting this event as their major fundraiser. Last year over 300 job seekers attended with 20 different employers on site. Director, Natasha Parvey, credits their first year of success on the partnerships across Columbia County as the key to success. She anticipates having double the amount of Employers and more support services on site for those who are job searching or looking to make career changes. Both Regional and Local Employers will be on site. Job Seekers are encouraged to bring multiple copies of their resume. 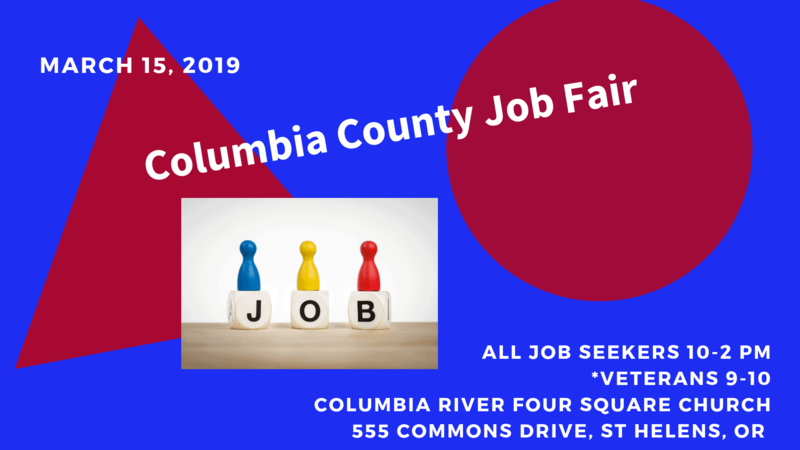 Both Mock Interviews and Resume Tips will be offered on site by local professionals in Columbia County. Job Seekers are encouraged to dress professionally as they will be networking with many local employers. Veterans only from 9-10 AM. There will also be support resources on site. The public is invited from 10-2 PM. For questions contact, Natasha Parvey, Director, Keep It Local Columbia County, keepitlocalcc@gmail.com. Sponsorships and Vendors welcome.